Today I am speaking with Kimberly Rocha at the monthly NJRW meeting. The chapter invited us to give a practice run of A Tale of Two Bloggers - How to Promote Your Book (and have a life). It is the workshop we are giving at the RWA National Conference on Thursday, July 23, 1245 in NYC. Julia is a young book editor on the rise. Jack is a British rock star at the pinnacle of his fame. Can they both get what they want—when what they need threatens to tear them apart? It’s January, 1982. Twenty-four-year-old Julia Nash has just moved in with her boyfriend, rock and roll guitarist extraordinaire Jack Kipling. Their connection deepens as Jack takes her to England to meet his intimidating mother, and afterwards to a private Caribbean island for a sensual retreat. But back in New York City, they hit a turbulent patch. Julia is in the running for a new job, while Jack prepares for a thirty-city tour and butts heads with the band’s lead singer. Things get more chaotic when Jack’s six-year-old nephew comes for a visit, Julia makes a disastrous attempt at cooking, and a new puppy wreaks havoc in the penthouse. Although free-spirited Jack likes to keep things loose, he craves more support on the home front. But Julia isn’t sure if she can ever be a domestic goddess—or if her wild boyfriend can ever be domesticated. On tour, Julia experiences the glittering excesses of private jets, mind-blowing concerts, shocking hotel room antics, and screaming headlines. Back home, she has to decide if their relationship can withstand the ravages of fame and conflicting interests—not to mention a suave bestselling author who seems to like more than her grammar sense. And when her long-lost father resurfaces, the bookish young woman must choose whether to listen to her heart, or to her head. 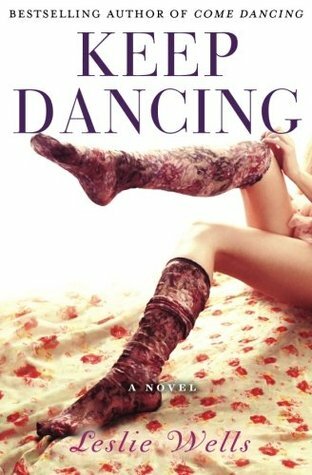 Hilarious, entertaining and steamy, Keep Dancing will delight brand-new readers as a stand-alone novel, and serves up even more of what fans raved about in Come Dancing, the first book about Jack and Julia. 1. Leave a comment about NYC - have you visited the Big Apple? 2. Comments are open through Saturday, June 27, 10 pm in Baltimore. 3. I'll post the winner on Sunday, June 28. 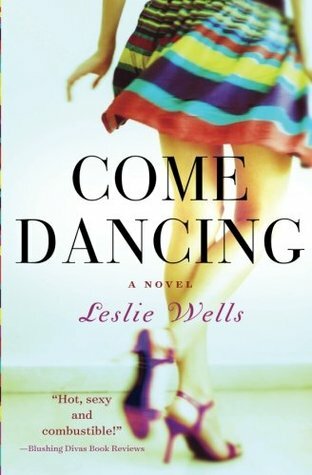 Check out my review of COME DANCING (Book 1) at this link. At the end of a trip last year we were in NYC for mainly just one day. We went on a walking tour in Manhatten with Real New York Tours. It was awesome. I do want to go back and spend much more time in NYC. I actually have NYC on my travel wish list. My sister has been a few times & loved it. I've been to NYC many, many years ago. I spent a few hours at airport! One day I hope to visit. I've been there twice and I'm going in July but they've all been short trips of a day or two - would love to stay longer. I live about an hr away from NYC, so have been many times; particularly love seeing plays and shows. It has been quite a while since I visited NYC. I enjoyed going to the theater and Radio City Music Hall. Yes, I have - I live not too far from the Big Apple. Love to see concerts and plays.